Despite marriage to a millionaire’s daughter and success as a vice-president of Donaldson’s, Inc., manufacturers of the world-famous Donaldson’s Dog-Joy, Freddie Threepwood, Lord Emsworth’s younger son, still goes in fear of his aunts when at Blandings Castle. Full Moon tells the story of how he faces them down while promoting the love of Bill Lister and Prudence Garland. A charming Blandings comedy with a full Wodehouse complement of aunts, pigs, millionaires, colonels, imposters, and dotty earls. Despite marriage to a millionaire’s daughter and success as a vice-president of Donaldson’s, Inc., manufacturers of the world-famous Donaldson’s Dog-Joy, Freddie Threepwood, Lord Emsworth’s younger son, still goes in fear of his aunts when at Blandings Castle. 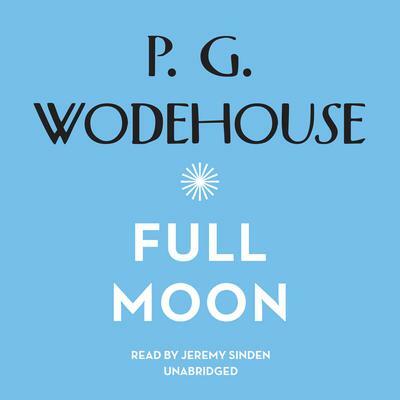 Full Moon tells the story of how he faces them down while promoting the love of Bill Lister and Prudence Garland. A charming Blandings comedy with a full Wodehouse complement of aunts, pigs, millionaires, colonels, imposters, and dotty earls.